Made with an eight 3-gallon can display and four 3-gallon storage capacity, the Master-Bilt DD-46 ice cream dipping and display cabinet is the perfect addition for an ice cream parlor or any place that offers ice cream to their customers. With the R-134A refrigerant and a cold wall evaporator, temperatures are kept at a cool range of -5 to 5 degrees Fahrenheit. The cold air inside the cabinet is kept from escaping with the wiper gaskets on the top and side lids, while the 21⁄4 inches of urethane insulation retains cold air inside the cabinet. The interior and exterior are constructed from white-painted, textured galvanized steel for durability. The front does not have a grille since air is taken in and discharged at the rear, leaving room for merchandising graphics. 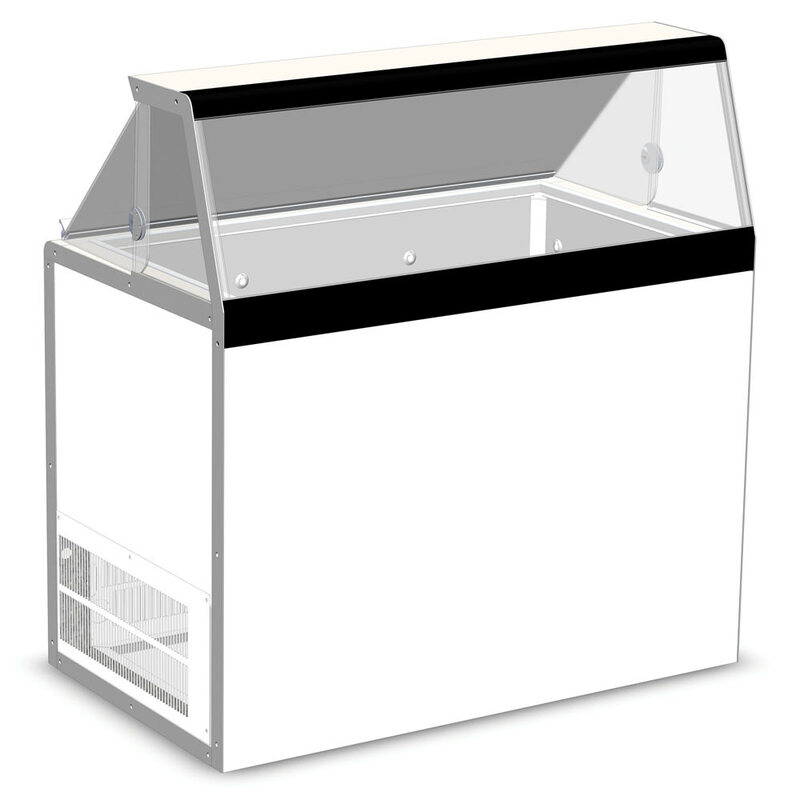 A stainless steel serving deck acts as a pass-over area for handing customers ice cream and is easily cleaned. Customers can easily see into the cabinet to make their choices with the tempered plate glass viewing window. The Master-Bilt DD-46 ice cream dipping and display cabinet has interior fluorescent lighting that makes products more visible.